Do you read tie-in novels to movies or television series? There are many good reasons for visiting Lyme Regis. For country-house visitors the pursuit of culture is a less powerful motive than basic human curiosity. 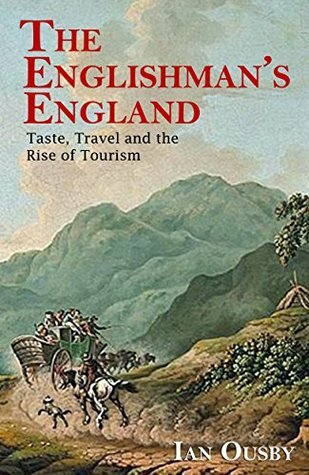 In this fascinating and original study Ian Ousby investigates the landmarks chosen by the English for their leisure travel over the centuries. He looks in particular at four types of attraction still prominent on the tourist map of England: literary shrines, country houses, picturesque ruins and the natural landscape. All these first became objects of fashionable attention during the eighteenth century, when improvements in transport combined with a spirit of practical inquiry to breed the first generation of travellers who called themselves ‘tourists’. Drawing on a wide range of sources - journals, travel books and guidebooks, novels and poems, as well as many engravings – Ian Ousby traces the canons of taste which led the early tourists to seek out places like Stratford-upon-Avon, Chatsworth, Tintern Abbey and the Lake District, and records the stages by which these places acquired the trappings of the tourist attraction. Above all, he shows the development not just of an industry but of a state of mind marked, from its earliest phase, by the underlying fear that tourism is fated to spoil or even destroy the very thing it most admires. This doesn't seem like it's for me but that is quite an interesting concept for a book! I hope you enjoy it or have enjoyed it. Enjoy your weekend! Sounds interesting. This week I have an urban fantasy novel - Blood Gamble by Melissa F. Olson. Happy reading! Not my usual read, but I hope you are loving it. Thanks for sharing...and for visiting my blog. It was an interesting read, thanks. Happy Hopping! You have me wanting more! :-) Happy weekend! I like to read this sort of book. You never know what interesting tidbits you might find. Same here, and this one certainly offered some interesting insights. Yes, it was an interesting read. Happy Hopping! This sounds really interesting! I'm curious to see what places are mentioned. Hope you're enjoying it! I did, thanks. Interesting to learn when/how certainly tourist spots became popular. I like the sound of your current read. The book is new to me, but I'm interested. I love reading both British mysteries and literary fiction, so this fits my interests. Thanks for sharing. Thanks for stopping by, Margot. Happy Hopping. This sounds like a well-researched book. Hope you enjoy your current read and that you have a wonderful weekend! I need to get my hands on the Heroes and Heroes: Reborn novel/novellas! I may not read tie-in novels but I actually do enjoy picking up the 'making of...' books of certain films - I always find them quite exciting to go through! Yes, making-of books can be awesome. Yes, I often enjoy them, too, particularly when the film/show involves a lot of special effects and visual effects. 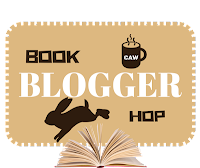 Great blog hop answer and I totally did interpreted the blog hop question in different way, but thank you so much for passing by my blog hop Nicki. Thanks Katiria. See you next week. So sorry for the late comment back, Nicki....:( I've been a little TOO busy lately, lol. Well, here I am now! I had the same impression about tie-ins that you did. So I went to Wikipedia, and saw that this term refers to books based on movies and TV series, and not the other way around. However, I have seen editions of already existing books referred to as "tie-ins" if they have photos or art from movies based on those books. A case in point: the three volumes of The Lord of the Rings. There are a couple of editions that have covers featuring photos from the movies, and they're referred to as "tie-in editions". Scratching my head here, lol. Well, anyway.... I've heard of "Crimson Peak", and, of course, "Van Helsing", but have not watched them. As for "Heroes", and "Heroes:Reborn", I will have to check them out. Yes, Maria. Yes, they do sometimes refer to books as film tie-in editions too. Have a great end to the week. It's average quality, but good if you enjoyed the film. If you've not seen it, I *do* highly recommend the making-of book for Crimson Peak; it's so beautiful.